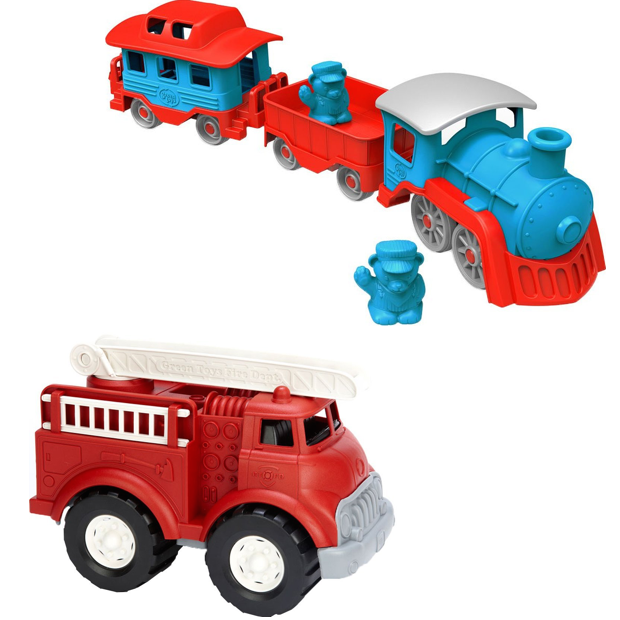 Green Toys Fire Truck AND Train Only Only $28.89!! You are here: Home / Great Deals / Amazon Deals / BOGO 75% Off Select Green Toys! Green Toys Fire Truck AND Train Only $28.89!! BOGO 75% Off Select Green Toys! Green Toys Fire Truck AND Train Only $28.89!! Head over to Amazon to get BOGO 75% Off Select Green Toys! Order the Green Toys Fire Truck AND Train Only for Only $28.89!! For a limited time and while supplies last, purchase a select Green Toy, and get a 2nd green toy of equal or lesser value for 75% Off Discount will be applied at Checkout. The Green Toys Fire Truck is currently on sale for $23.12 and the Green Toys Train in Blue/Red is currently $23.09. With this special get both for just $28.89 or just $14.45 each! Shipping is FREE with Prime or on orders of $35+. Don’t have Prime? Try a 30 day FREE trial!